Our Gymnasium is small and quant. It is the perfect size for our Tai Chi & Yoga classes. It is also home to Town Meetings and Rec functions. And yes it is available to rent. 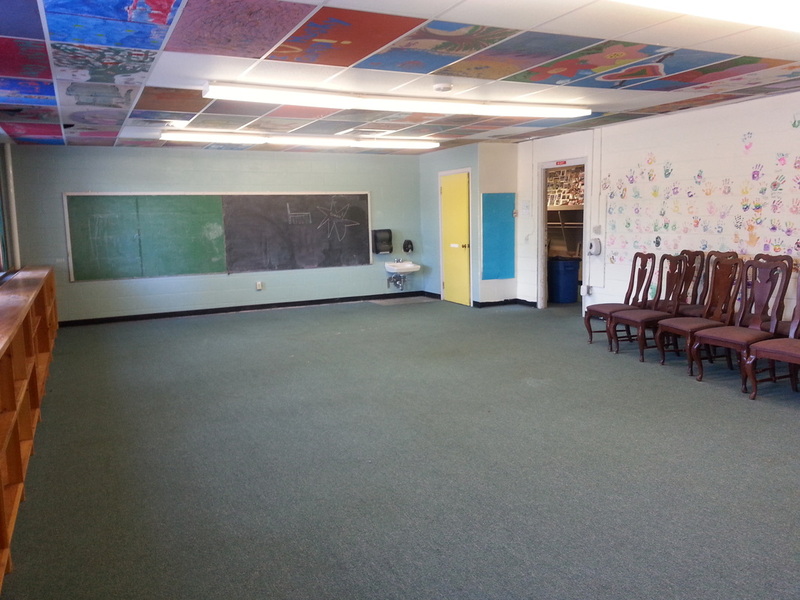 It is the perfect space for birthday parties, family reunions, and large meetings. Our Rec Room is home to our Camp Husky Program. This room is equipped with many games, a craft corner, toys, books, Legos, Barbies, ping pong tables, air hockey table, foosball table, and much more. We also host our Children's Playgroup here as well as other Rec events. The BCC Fitness Club is open to residents of the town and the surrounding communities. Just $25 for a 3 month membership you can access our Fitness Center, open form 5am – 10pm everyday. We have a treadmill, weights, a total gym, rowing machine, ellipticals, boxing bag, and many more machines! The gymnasium is also open to shoot some hoops or walk. Contact us to sign up today! The Fish & Game Room hosts a classroom where hunters safety classes, woman’s defense classes and more are held. Contact the Fryeburg Fish & Game for more information.